The reason that the Choy Li Fut system has so many kung fu forms is because Chan Heung, the founder of the system, learned from three highly skilled Shaolin masters. Each one of his teachers had many traditional forms and Chan Heung himself developed many training and fighting forms from his own experience and years of training. He also developed forms for various students who had different physical shapes and abilities. 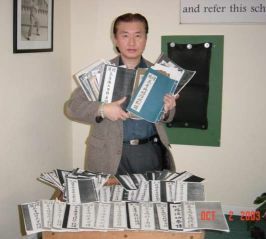 His kung fu forms have been recorded into scripts which have been handed down to his closed-door students. Grandmaster Wong is one of the few leaders of Choy Li Fut who has the complete training system of traditional forms nowadays. In 1978, he began to translate the Choy Li Fut form scripts into English. From his English translations, these scripts have been translated by his European disciples into Spanish, French, Italian, Polish, Dutch and many other languages. 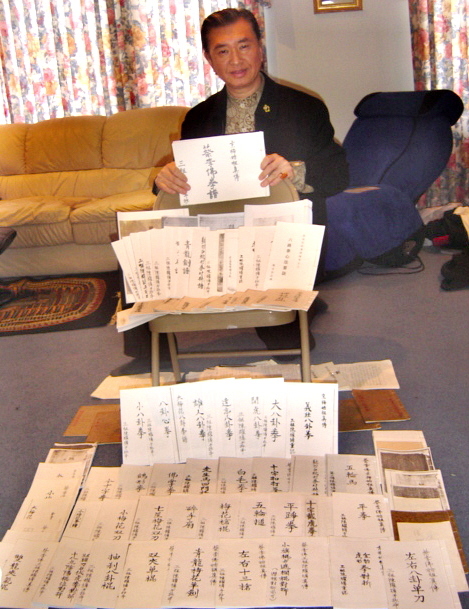 Having translated the King Mui and Jiangmen form scripts into English, Grandmaster Doc-Fai Wong also went on to restore and translate the Fut San branch form scripts that he learned from Lau Bun and his other Si-Suks (Uncles) in Hong Kong. The list below is not the teaching curriculum of the Choy Li Fut system. Each school has its own teaching forms and one is not required to learn all the forms in the system to complete one's training in Choy Li Fut kung fu. In the Plum Blossom International Federation, all these forms are available for students who want to learn more. To master the system of Choy Li Fut, you need only learn 20% of the forms below to reach Sifu level. *This is not a complete list of the Choy Li Fut forms.